So you're saying David that if I twist SS with Kanthal or better yet, make a SS core Kanthal outer clapton, I may get better TC results than using the SS alone??? If this is the case then I can't wait. 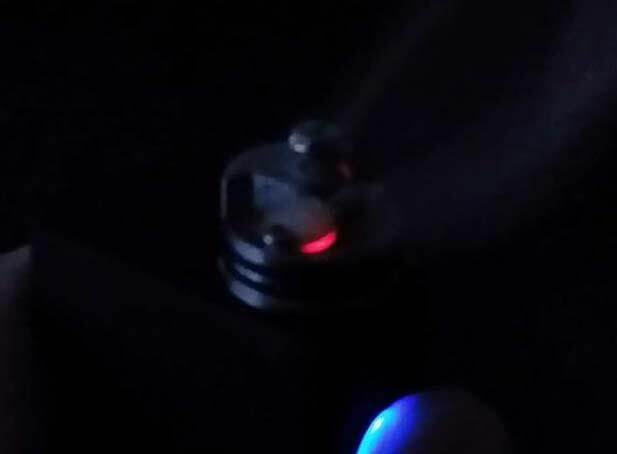 The titanium/kanthal clapton I made is performing and tasting wonderfully now btw. I haven't tried, yet, a SS316L / Kanthal Clapton, but I've done a Ni200 and Titanium. Until I got the 'core' SS316L TC right it didn't make sense to potentially waste a Clapton (time). I'll start off with a simple Twisted...easy and I'll get the idea. Pfft I had no brains I grabbed two Clapton 6" segments (from different runs; meant for two separate single coil Atty's .. oopsy) than my 18" consistent wire; they were from different runs. However, sometimes you can learn from other's errors. For TC to work on each coil balanced Clapton's must have the same Kanthal 'density' in addition to the coiling itself and if they're off then the temp can be off 40-50 F (or more) per coil. Note on Titanium I prefer a Punch 3-5 and the Preheat Power around 150% of the set Power, and that or more on a Clapton. Otherwise, the first vape takes 1-2 seconds to fully ramp up. Yours looks great and the way it should be. I would recommend your 5.5 over my 6.5 / 2.5 mm ID that I had to shoehorn in. Question, what is your (looks like 34 gauge) outer wire? I'm running mine around 90W with 150W Preheat / 5 / 1 second at 550-570 F.
Oh yeah lol I emptied a (6 ml) tank faster than I care to admit. ;-) Nano's are okay IMHO for single coil or otherwise if they have super easy filling and most don't. I got a Nano kit, $7, for my Billow V2 and as easy as it is to bottom fill it gets old fast. So ya, I had a SX Mini, and the pulse modulation didn't seem to do good with SS. Now I have 2 200s and I use Crown SS coils. Yes I know the issues... Anyway, I made a couple curves. For soft and hard. New and old coils. I doubled the points in my curve, but memory is very limited. I had to delete a couple... It seemed to help. Punch doesn't seem to make a difference. One is soft, one hard. But I have not turned it off. How well are your Crown CSVs working for you? I couldn't get one that worked for me on my DNA200 but surprisingly on my new Evic VTC Mini, the stock SS profile they program in works beautifully...sometimes. First time I screwed it on, worked great. Second time I screwed my Crown on, cut prematurely and had weak, thin vapes. Third time, works great. Idk. As for David's SS files, I think I've settled on the V4 and V3 for my attys. I still have preheat on but have the punch at 3, time at 0.75, and wattage at 20 watts above my vaping wattage (I vape around 55-65 watts and have preheat wattage at 80). I updated my crown thread. I don't want to derail this one with previous built crown talk. But to answer your question, I use 304 TCR from steam engine and add points in the middle of each of their points. Most folks use 105 if they can input a TCR. That's what I used on the SX Mini. 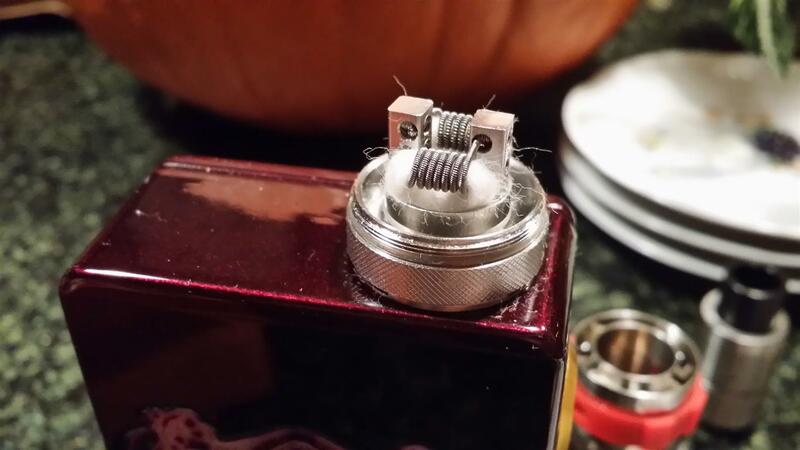 The Crown coils can be a little temperamental due to the nickel legs. As the Version goes up, so do the temperatures; I generally use V3 or V3.5 myself. 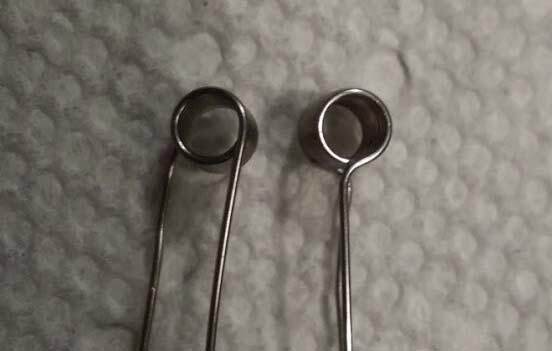 I told Phil a while back that he needs to revamp all of his Titanium wire tests; Sweet Spot is a Ti-Fe alloy it's not Grade 1 Ti wire. Most of the Mods offering Titanium are regulated for 'pure' Titanium Grade 1 wire and while I don't have concerns about TiFe alloys, I do however feel Sweet Spot needs to make CLEAR what they're selling only works correctly with DNA 200 and or TCR based Mods. The owner of Sweet Spot and I had a long email .. I suggested that he sell his wire but also sell Grade 1 Titanium and make it perfectly clear to the public which is which. For now I've had extremely good luck with Titan Wires and specifically I love their 24 Gauge (~0.5mm; actual 25 gauge) wire. Pulse it with 10W single or 20W dual to a dark orange to clean, burn off gunk, followed by rinsing under a faucet with a toothbrush .. NO Ti02 production. Here are the CSV files I use on both the 0.4mm and 0.5mm wires; my preference seems to be my V5.2 http://www.filedropper.com/sweetspottiwire in addition I included Sweet Spot 0.5 V2 CSV. I do NOT recommend Sweet Spot's 0.4mm CSV file. Just bear in mind, one of the trade offs that comes with adding Fe (Iron) is you get hot legs much, much worst than with Grade 1 .. so keep the legs short or use full wraps with 2-perpendicular leads. Thanks for the reply and csv. I agree that Sweet Spot should be more specific about their wire. Stating that their wire will form no iron oxide is contradictory at best if they are producing a Ti/Iron alloy. Why they would see fit to post a csv for the .4mm wire that doesn't work is quite confusing and certainly not beneficial toward establishing credibility for themselves and their products. Ive been using .5mm TI for a few months now with no issues. Ive posted various builds and results. Simple dual parallel builds work out the best. One thing i noticed is that with TI wire, once you lock in the initial resistance and vape for a while, it will eventually require you to relock it at a higher resistance.